This interesting kielbasa rose recipe includes only 2 ingredients and takes only about 5min to make. 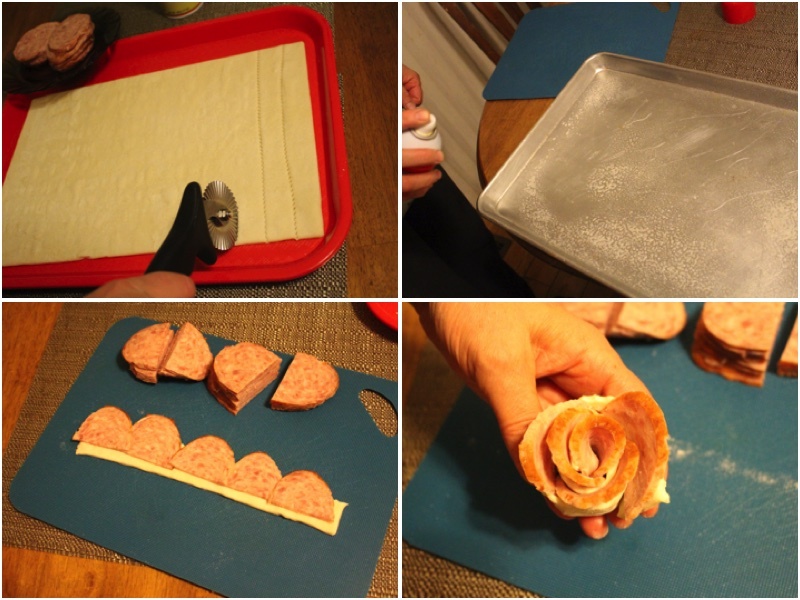 To make them you will use french puff pastry dough, you might also need to go to a deli to get the kielbasa! 1.) Cut your puff pastry dough into 11 strips. Spray your cookie sheet with cooking spray, cut your kielbasa pieces into halves. 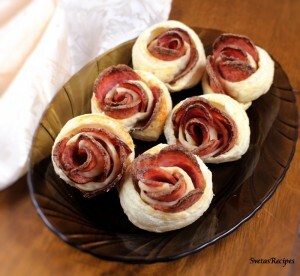 Place your kielbasa pieces onto each strip and roll it up to make a rose. 2.) Place them all on your cookie sheet, bake on 350F for 30 minutes straight. Place on a serving dish and enjoy! Cut your puff pastry dough into 11 strips. 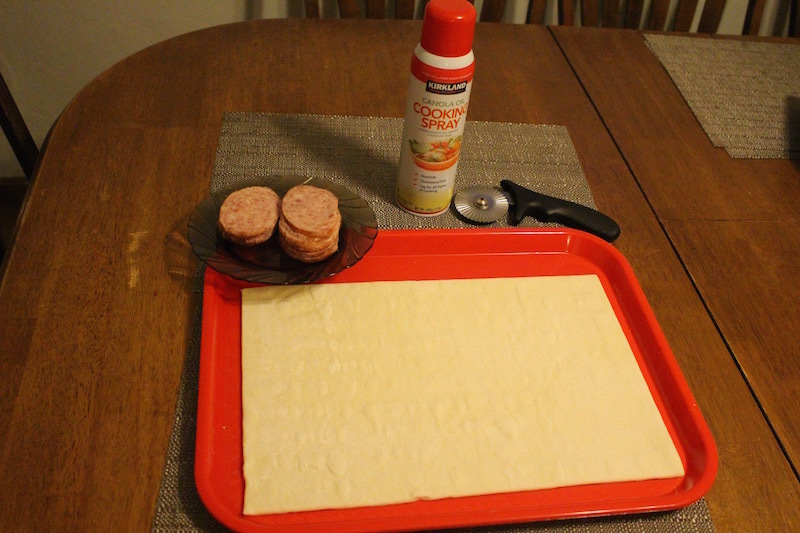 Spray your cookie sheet with cooking spray, cut your kielbasa pieces into halves. 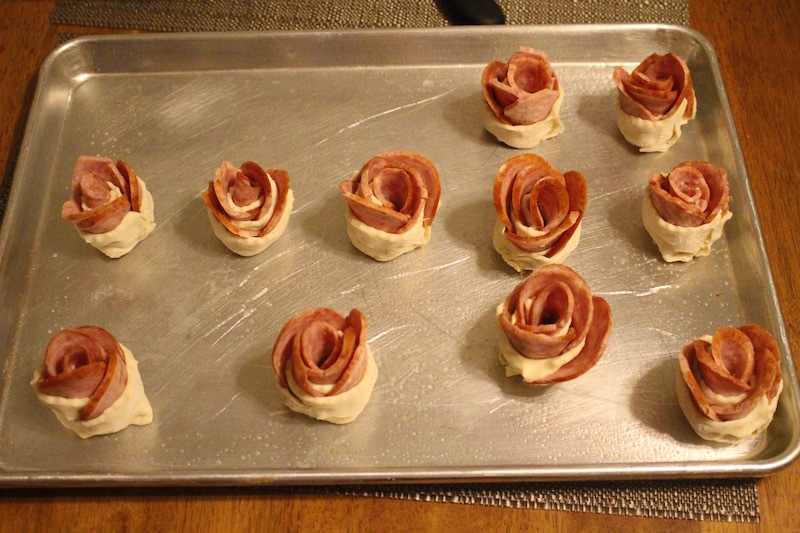 Place your kielbasa pieces onto each strip and roll it up to make a rose. Place them all on your cookie sheet, bake on 350F for 30 minutes straight. Place on a serving dish and enjoy!